IBM has retained Bain & Company to help plan a reorganisation of its global technology services business, with about a third of the staff, or 30,900 employees “productively redeployed,” according to a report on The Register. Enterprise Cloud News (FinTech Futures‘ sister publication) reports that IBM, which has seen 22 consecutive quarters of revenue decline, is circulating an internal document among senior executives planning the reorganisation, which includes a slide showing redeployment of 10,900 people from the domestic market and 20,000 worldwide. Of the reorganised staff, 9,300 will be redeployed within IBM, and 10,100 are to be classified as “attrition w/o backfill” – in other words, staff that will not be replaced as they leave or as their contracts end, The Register says. No word on what will happen to the remaining “redeployed” staff. IBM has seen nearly two years of consecutive quarterly revenue decline, as growth in emerging technologies, including cloud, fail to offset declines in other business. In its latest earnings reported in October, IBM posted non-GAAP revenue of $19.2 billion, down about 1% year-over-year, though it beat analyst expectation. The company’s self-described “strategic imperatives,” including analytics, cloud, mobile and security, totaled $34.9 billion for the trailing 12 months, up 10%, accounting for 45% of all IBM revenue. Cloud revenue grew 25% year-over-year to $15.8 billion. 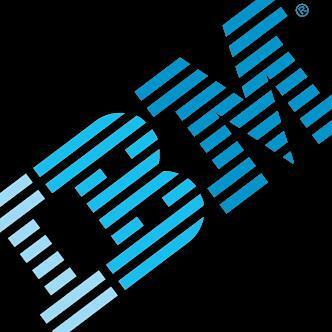 Reorganisation would be nothing new for IBM. Employees have joked for decades that the initials stand for “I’ve Been Moved,” notes Daniel Conde, analyst with the Enterprise Strategy Group. IBM may be planning a bigger reorganisation than usual, and calling in Bain to help, Conde says. IBM could simply be moving people from slower-growing or declining areas, to future growth areas, such as cloud and Watson, or existing, healthy businesses, such as storage. This week, VMware confirmed a “small reduction in force” – in other words, layoffs – but did not provide specific numbers.